The Greenhouse strives to build upon the training already being accomplished at home by parents. Our desire is to complement the work of parents in hiding the Word of God in the hearts of our children and to help them understand the meaning of the sacrifice made for us by Jesus Christ. 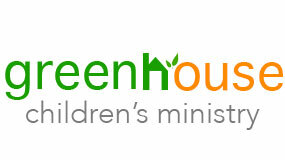 The Greenhouse is staffed with warm, loving teachers with a passion for sharing the love of Jesus with children. AWANA stands for Approved Workmen Are Not Ashamed. This Bible memorization club for kids helps parents develop spiritually strong children who faithfully follow Jesus Christ. Our programs offer a proven approach for evangelizing and discipling kids in the church and community. AWANA meets on Wednesday nights at 6:00p.m. during the school year (September through April). AWANA gives children the opportunity to learn, play and grow spiritually in a safe environment. The directors and leaders of our AWANA program have all undergone training as well as background checks to ensure your children’s safety.